The rectangular panels on this 14K rose gold modern men’s wedding band are each at a different angle from each other so the light reflects in all directions. The panels are not flat, but have just a slight curve to them. 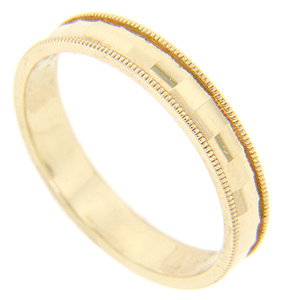 The wedding ring measures 4mm in width. Size: 10. Cannot be resized.